welcome to my Hourlies.i hope you like my service. 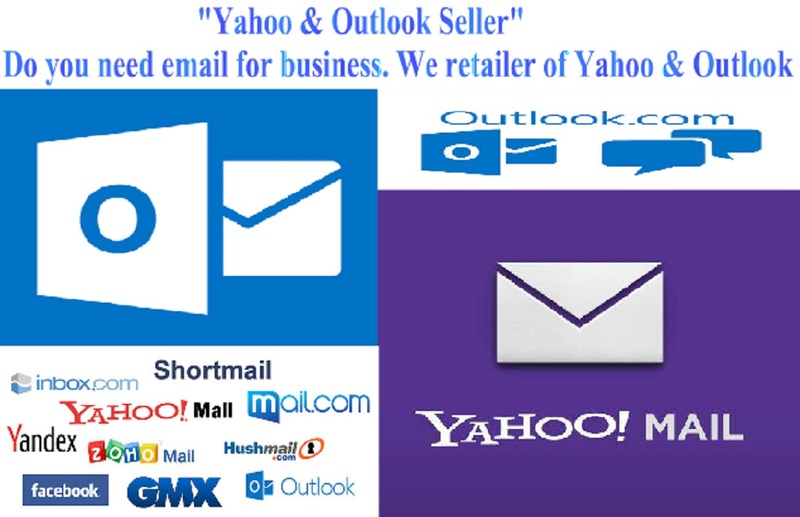 If you want any country G-mail, Yahoo, Outlook, Yandex or others email account I will provide you. 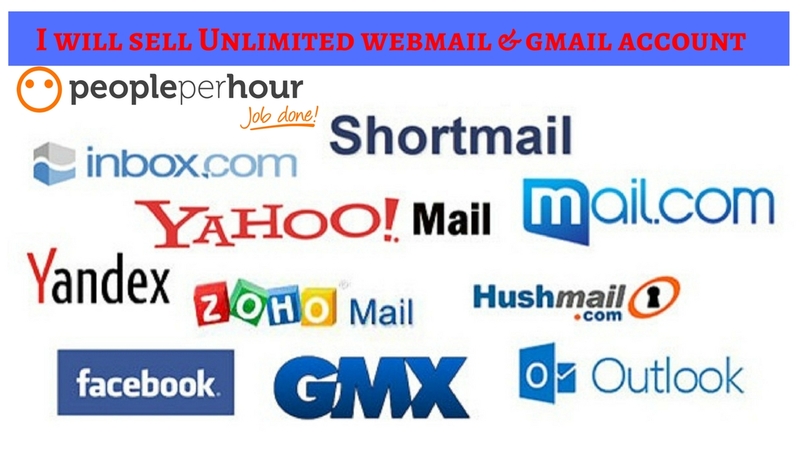 I am an email marketer and I will provide you unlimited G-mail, Yahoo, Outlook, Yandex account for your business. If you want G-mail account i will sell 100 G-mail account only 50$ or If you want Yahoo account i will sell 200 Yahoo account only 50$ or if you want Outlook & Yandex email account i will sell 250 email account only 50$. Then if you satisfied my service I will provide an unlimited email account for your business. If you want this basic service order my Hourlie and or if you want many Gmail or others email account for your business contact my profile before order here. If you need email account kindly say some information for this service. 1: what kind of mail you want. 2: what kind of country email you want. 5: if u like say recovery mail. 6: other's rules if you want. I will must be follow this and provide you 100% fresh web mail. Thanks for your order. You are a very great buyer and I am so happy to work with him. I am working on Amazon Product Ranking & Listing, Website Design & Developed, Search Engine Optimization (SEO-Off page & On page), T-shirt Design, Graphics Design, Social Media Marketing (SMM), Web Research, Email Marketing, Lead & Traffic Generate etc. I have other work experience and good timing. I have a little IT farm & big Team and they are all IT expert. I feel better at this platform. I hope this forum will be able to work with my 100%. My main objective is to work as a member of a team in a well-reputed and dynamic organization, where I can broaden my horizon by complementing my theoretical knowledge by practical experience which has the potential to unearth individual excellence.